SASFED - The South African Screen Federation: Join the massive PICKET in Cape Town and Johannesburg, to call for order at SABC! 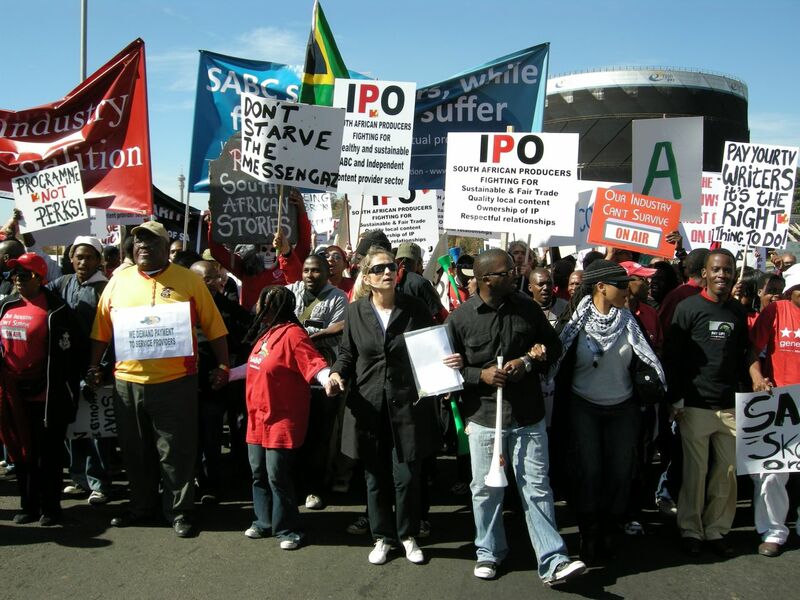 Join the massive PICKET in Cape Town and Johannesburg, to call for order at SABC! 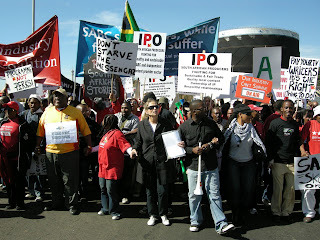 The Support Public Broadcasting Coalition (SOS), of which SASFED is an active member has called for massive picketing action at the SABC’s Auckland Park headquarters in Johannesburg on November 24, similar to what happened at the broadcaster in 2009. Protesters are asked to wear red and black and "to bring your placards". The SOS, a massive public pressure and interest group representing the vast majority of South Africa's TV industry and who've called for Dr Ben Ngubane, the SABC chairperson to resign, says "South African citizens demand a public broadcaster that has the resources and strategic leadership to meet the information needs of all South Africans." "We demand a SABC that holds government and corporate power to account, and provides the information and platforms for discussion vital to the functions of our democracy." For more information about the picket please contact SOS coordinator Kate Skinner on 082 926 6404. You can also read more in Screen Africa here, including the full letter sent by SOS to the SABC Board and Chair.